Pink roses symbolize gratitude and appreciation. 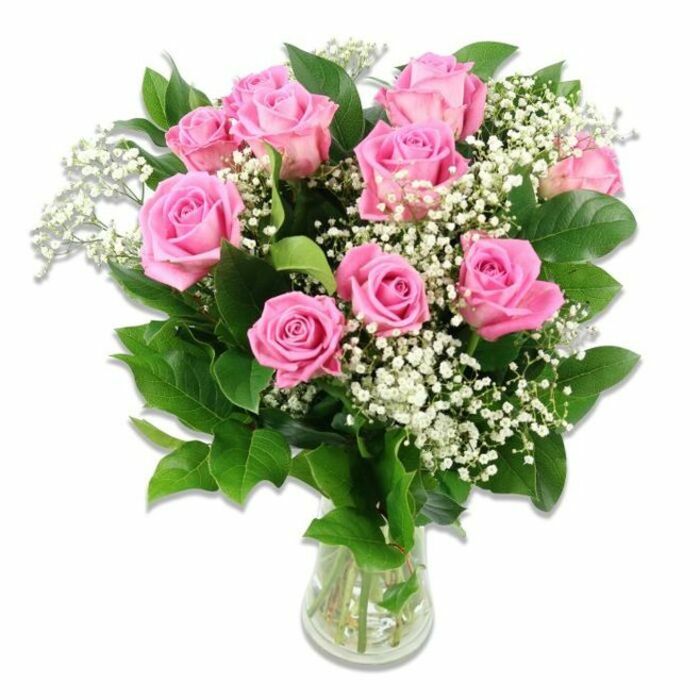 This token of love consists of elegant pink roses and graceful gypsophila flowers. It is perfect to celebrate a special anniversary. Sent flowers to a colleague to congratulate them on their promotion. I was looking for something that had a rather 'stately' and elegant appearance to mark the occasion, and they had just what I was looking for. Had the flowers sent by post where they were met with open arms and much gratitude. Gorgeous, will use again. In addition to being very beautiful, the flowers are also long-lasting. It's been a week now and they are just starting to show signs of drying up. I reckon they should last a few more days. Great value for your money. Couldn't have found a more perfect mix of flowers anywhere. Astonished at how great the flowers are! Pink roses were always on point. Thank you for your fine service and the delivery. That bouquet was so unexpected which made it even more amazing! My favorite colors were all together in this amazing flower arrangement! Thank you! My bouquet is BEAUTIFUL! Thank you for everything!